While you might think that fresh hop beer would give hop heads the ultimate IBU fix, the opposite is true. With aromas and flavors described as floral, piney, and grassy, fresh hop beer takes advantage of the volatile aroma and flavor compounds within the hop cones that normally would disappear as they're dried. The hop flavor in these ephemeral beers also tends to be softer than their counterparts made with dried varieties. Most fresh hop beer is made into a pale ale or IPA, although you’ll find other styles as well. Because they taste best when they’re fresh, if you want to have the best experience, you'll need to drink them close to the source. It’s a great excuse to find a brewery near you and see if they make a fresh hop beer that you can try right around harvest time. 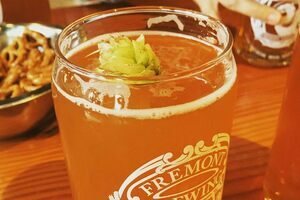 But if you don’t live near a brewery that makes this delicious seasonal style or want to plan a beer-themed trip, Washington and Oregon boast many breweries featuring fresh hop ales, as well as festivals celebrating the seasonal brew.